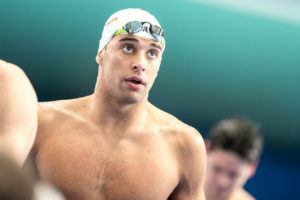 The Iron Lady strikes again in Berlin, this time with a shiny new 100m IM World Record. 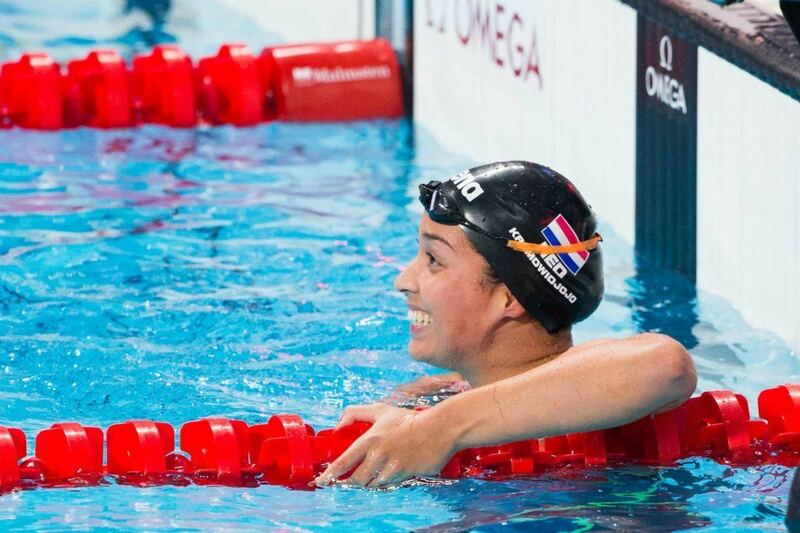 Netherlands-based sprint freestyler Ranomi Kromowidjojo became the first woman ever under 23 seconds in the 50m SCM freestyle on Monday swimming at the FINA World Cup Series stop in Berlin. 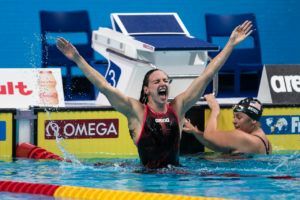 With a perfect race and against the former world record holder Sarah Sjöström, Kromowidjojo set a new mark at 22.93. 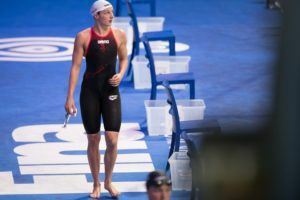 Sjostrom’s old record was a 23.10 done at the Moscow stop last week, and the previous record was Kromowidjojo’s in 23.24. Sarah Sjöström also went under the old record with a 23.00 in finals for 2nd place. 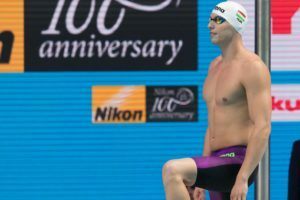 Kromowidjojo is the 2012 Olympic Champion in both, the 50m and 100m freestyle (LC) and won the silver medal at the 2017 (LC) World Championships in the 50 – behind Sjostrom (who broke the World Record in the long course version as well). 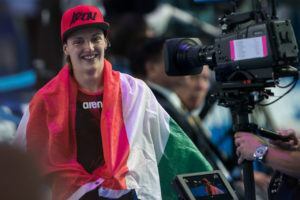 This has the makings of a phenomenal women’s sprint rivalry headed toward the Tokyo Olympics, especially if Australian Cate Campbell returns to form after skipping the World Championships. So many people said that her best days were gone and now look at that. She’s at her peak !